The slogan “Yanukovych piss off!” was painted on their torsos. They then left and there were no arrests. 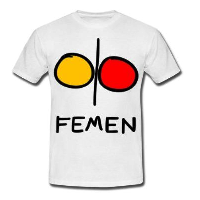 This entry was posted in EN and tagged news on December 1, 2013 by FEMEN.